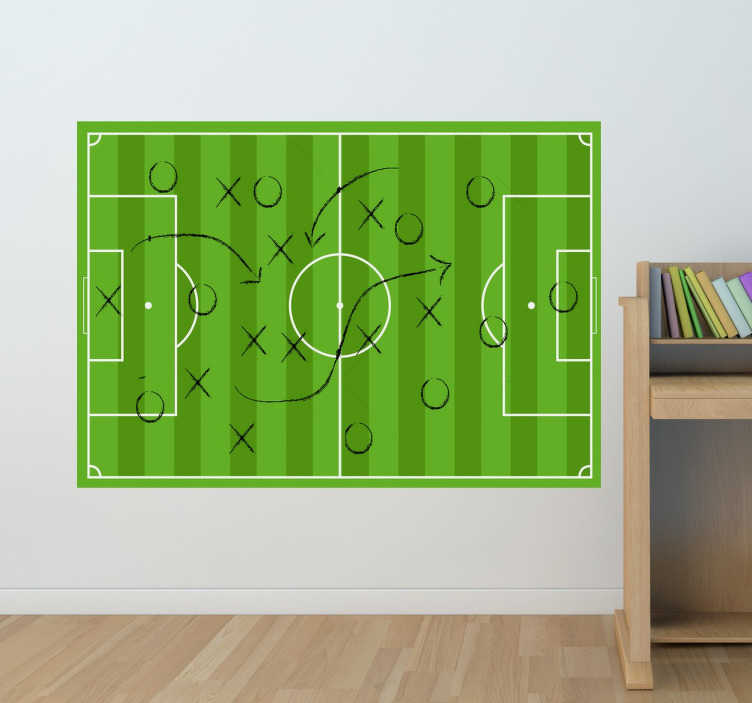 Football whiteboard sticker, perfect for all football fans or those aspiring to be a coach. Now you can draw and erase your team strategy in a clean, easy and simple way, whilst also decorating your kids room, or even your sports club. Become a prestigious manager with this original sports sticker, which comes with a special pen to draw your ideas. Dry wipe matrial which leaves no residue on the wall if removed.